1 stamp = 5% off! 2-3 stamps = 10% off! 4-6 stamps - 15% off! 7-10 stamps = 20% off! 11-15 stamps = 24% off! 16+ stamps = 25% off! Go to geekcentral.org to learn more! We have a slew of author signings coming up this Fall (Steven Brust, Stephen Lynch and Naomi Novik to name a few), and we need to figure out where we can fit them in the store, or even if we need another venue! If you are the type of person who likes to meet authors, please fill out the following survey. It will take only a minute! Dragon's Maze Release At Pandemonium Starting Tonight At Midnight! Pandemonium will be releasing Dragon's Maze tonight at Midnight! (that's Thurs nite/Friday - wee hours of the morning). We're having our traditional Midnight Madness at the store, along with more special events on Saturday (1pm Sealed Deck) and Sunday (Mutant Intro Draft) in addition to Friday Night Magic. Take a look at our web site www.pandemoniumbooks.com for more info. 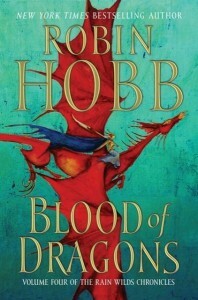 Tonight, Tuesday April 30, Robin Hobb will be appearing at the Boston Public Library to sign books and (likely) do a reading. She will be there from 5:30 to 8:30 pm, and admission is free. Pandemonium Books and Games has been invited to sell her books at the event. Hope to see you all there! Dragon's Maze Booster Boxes Now Available For Pre-Order! You can now pre-order booster boxes of Dragon's Maze for $99 (+tax) per box while supplies last! Swing by the store or order by phone with a credit card. We tend to sell out of these. Hm. Got a call from Luke Verge, casting producer for QUEST, an upcoming reality TV show. He's looking for folks interested in spending 21 days in August in an as yet undisclosed exotic location participating in what seems will be extreme LARPing. "Do you believe there is a hero inside of you just ready to come out? Have you ever thought you were meant to live in another world where fantasy and adventure go hand and hand? Have you ever desired to become a legend? Do you feel more at home losing yourself in the movies you watch or the games you play than in the real world that surrounds you? From an Executive Producer of the award winning The Lord Of The Rings Trilogy and the Emmy award winning creators of The Amazing Race comes an epic and groundbreaking new competition show for a major network, the likes of which have never before been seen on television! We are searching nationwide for adventure seeking, fantasy enthusiasts of all kinds who are ready to go on the epic journey of a lifetime!" What makes you perfect for a show like this? Edit: Luke tells me that he actually needs to receive the applications within the next day or so, as he will only be in Boston a short time. Pandemonium's 3rd Annual GeekFaire Today! This is a last, quick reminder that Pandemonium's 3rd Annual Geekfaire & Sale is happening today! Not only can you pick up some neat geeky gifts for the holidays but you can also get take part in Pandemonium's GeekFaire Sale and receive up to 20% off! Here's how the sale works: when you buy from one of the vendors in the GeekFaire, you will get a coupon. Every different coupon gives you a stacking 5% discount on nearly all Pandemonium merchandise. Buy from one vendor, get 5% off, buy from three different ones, get 15% off. Maximum possible discount is 20%. The GeekFaire and the Sale will from from noon-6pm today. Bedridden Bohemian creates jewelry & crafts for the fabulous diva & eccentric geek, specializing in earrings, barrettes, pins, and keychains that incorporate Pez heads, kazoos, erasers, hardware store items, and all manner of knick-knacks that comprise the flotsam on the tide of pop culture. Handmade beaded earrings and necklaces in a variety of styles are also available for the more traditional diva with a modern, colorful flair. Comic- and magic-related buttons and badges! All buttons $1 each! Steampunk and fantasy jewelry in wire, particularly wire wrapped antique key pendants. They also have steampunk and elven/faery wire bracelets, swirly wire earrings, and other wire wrapped or sculpted wire jewelry and accessories. Knitted hats and scarves you've seen on TV and the movies-- Harry Potter (all houses! ), Dr Who, Jayne hats (from Firefly) in both adult and children's sizes. Some Santa hats too! The Post-Meridian Radio Players is Boston’s premiere radio drama troupe. We’ll have CDs of several of our productions ranging from scifi to horror to comedy. We’ll also have a selection of great geeky gifts including our always popular coffee soda. Various swords, axes, daggers, Custom leather bracers, assorted steampunk related items and interactive puppets. All events will be run! I'm sorry to say that the Pot Luck dinner scheduled for this Sunday has been cancelled. Only two people submitted dishes. This is our fault, we simply did not get word out far enough in advance. We will do this another time, and give you all proper notice!